Most people think that American Express credit cards are costly to own, but in my opinion the cards are some of the most value for money credit cards out there. Sign up for an American Express credit card now! HelloFresh delivers to your door ​quality local ingredients to create nutritionally balanced with easy to cook recipes. You can choose from a few flexible meal plans. Click here to get $50 off your first box. Fiverr offers services ranging from logo design to software programming tasks starting from USD$5 (plus processing fee). 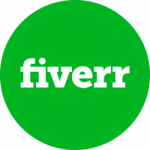 If you have services to offer, you can also become a seller on the Fiverr platform and start making some extra money. Give Fiverr a try by clicking here. With over 40 million domain names already registered and reserved, including all dictionary words and every three letter combination, it is getting harder to register the domain name you want to preserve your online internet web presence. So it is important to register and reserve the domain name you want now, before it is too late! Register your domain name with namecheap now!